Considering Puerto Rico? Leave to San Juan Int. Hostel your stay. 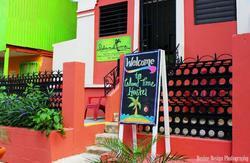 Two consecutive years (2012 and 2013) #1 hostel in Puerto Rico by HostelWorld. Only 20 beds allow for better serving. Three MIXED Dormitories and Three PRIVATE Rooms, the perfect size to make friends and enjoy a great group atmosphere. 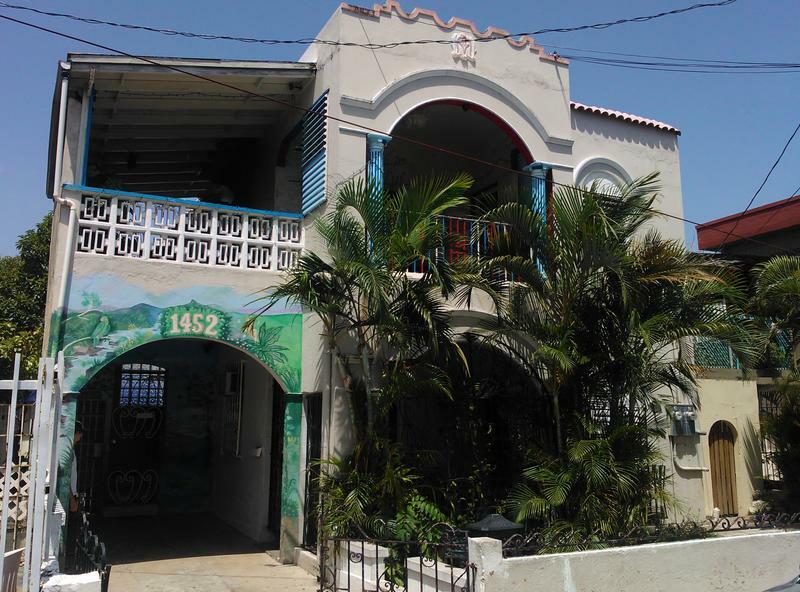 Experience downtown San Juan, (Santurce) in where museums, breakfast/lunch cafes and budget restaurants, grocery and department stores, hospitals, nightlife, farmers market, pharmacies, and popular Placita zone. 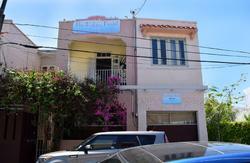 Thirty minutes bus ride from colorful colonial Old San Juan and minutes to famous Condado/Ashford Avenue with casinos, bars, high end hotels, main beaches, water sports. BroadBand WiFi in ALL rooms and communal areas, foosball table, computer terminal, pancakes, coffee and tea 24/7 (we provide the ingredients, You create the feast), flat screen Smart TV with movies, darts and other games, free local calls 24/7. At no extra charge: linen, towels (bath - beach), hand and bath soap, potable water, shuttle from the airport (arrival), from 02pm until 09pm). 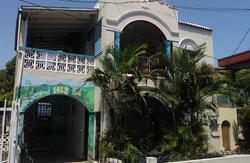 Also; full equipped kitchen with family size stove and refrigerator, coffee maker, microwave, toaster and more. Book exchange center additionally. Solid concrete building (2, 000 sq. ft.), big balcony with fresh sea breeze, big size lockers, multiple communal areas, ceiling air fans on main areas, air conditioning in most rooms, fully equipped kitchen, three full bathrooms with 24/7 hot water showers, washer/dryer, electric sockets by all beds side, hair dryers, iron/board, screens to prevent from mosquitoes, windows in all rooms. Parking available on our street, (first come, first serve). Easy access by taxi (around $20) or bus ($1.50), from the airport, flexible check in if arranged in advance, late checkout, (1:00pm), bags storing while you travel the island, daily cleaning/housekeeping (no extra cost). We ask for relaxed quiet time from 11pm till 7am, those of you looking to party can walk a few blocks to mix it up with the super friendly locals. No one under 18 is admitted without a parent or legal guardian. All of which requires an advanced notice. No passport is needed for US citizens. Payment cash, PayPal, credit card. We emphasize to coordinate in advance for airport pick-up. Buses at the airport come by about every 40 minutes from 6:00am to until 6:00pm during regular working days/hours. Out of those; it will take longer. Buses stop running at 9:00pm. At the upper level of the Luis Munoz Marin International airport look for the chapel. Near chapel the bus stop. Take bus route # 40 or # 50 to Isla Verde by the Isla Verde Dennys restaurant (across the Cockfights Coliseum). Before getting off you may want find from the driver where to catch bus route # T-5 to Santurce. Once in # T-5 step out at Santurce, Bus Stop 22. Only coins, (no bills) at the buses. Price is $0.75 each. Oversize luggage not allowed. Upon getting off at Bus Stop 22 you will be facing Santurce Dennys restaurant. Look to your right and notice the big wall/traffic light (sign Expreso De Diego). Walk to that traffic light and turn left so you re walking against & along the big wall side of the street. Careful; buses running against traffic in an exclusive lane. Keep going south until the next traffic light, (Avenida Manuel Fernandez Juncos). Check for the yellow building, Ultima Parada; a 24hrs gas station/convenience store. Cross the Avenida Manuel Fernandez Juncos and keep going straight forward to your second RIGHT onto Calle America. The hostel will be on your left almost at the end of the block. 1452 Calle America (UPPER LEVEL). Just ring the bell. From the Luis Munoz Marin International airport takeSan Juan exit; (PR 26 East). Once at PR 26, (after some 4 kilometers),look for the sign Calle San Jorge, Calle Del Parque, Avenida De Diego, (only one sign/exit for all three). Take that exit and keep going to the 3rd traffic light (Avenida De Diego). Turn left (south) there. Once at Avenida De Diego keep going south to next/first traffic light (Avenida Juan Ponce De Leon) and take a right there. Try to stay on your left line. NOTE: the very left/south line at Avenida Juan Ponce De Leon an exclusive one for buses so the closer one to it is the one you want to take. Once at Avenida Juan Ponce De Leon go to the very first traffic light and make a LEFT at the second street to your left, (check for the red wall). NOTE: this intersection can be a little tricky. There are two left turns here. The first left turn will put you onto the highway. DO NOT turn here. The second left is immediately after the first and will take you south toward the hostel. Keep going south until the next traffic light, (AvenidaManuel Fernandez Juncos). Check for the yellow building,UltimaParada;a 24hrs gas station/convenience store. Cross the Avenida Manuel Fernandez Juncos and keep going straight forward to your second RIGHT onto Calle America. The hostel will be on your left almost at the end of the block. 1452 calle America (UPPER LEVEL).